Where safety is a concern, choosing a multimeter is like choosing a motorcycle helmet—if you have a "ten dollar" head, choose a "ten dollar" helmet. If you value your head, get a safe helmet. The hazards of motorcycle riding are obvious, but what's the issue with multimeters? As long as you choose a multimeter with a high enough voltage rating, aren't you safe? Voltage is voltage, isn't it? Not exactly. Engineers who analyze tester safety often discover that failed units were subjected to a much higher voltage than the user thought he was measuring. There are the occasional accidents when the meter, rated for low voltage (1000 V or less), was used to measure medium voltage, such as 4160 V. Just as common, the knock-out blow had nothing to do with misuse--it was a momentary high-voltage spike or transient that hit the multimeter input without warning. As distribution systems and loads become more complex, the possibilities of transient overvoltages increase. Motors, capacitors and power conversion equipment, such as variable speed drives, can be prime generators of spikes. Lightning strikes on outdoor transmission lines also cause extremely hazardous highenergy transients. If you are taking measurements on electrical systems, these transients are "invisible" and largely unavoidable hazards. They occur regularly on low-voltage power circuits, and can reach peak values in the many thousands of volts. In these cases, you are dependent for protection on the safety margin already built into your meter. The voltage rating alone will not tell you how well that meter was designed to survive high transient impulses. Early clues about the safety hazard posed by spikes came from applications involving measurements on the supply bus of electric commuter railroads. The nominal bus voltage was only 600 V, but multimeters rated at 1000 V lasted only a few minutes when taking measurements while the train was operating. A close look revealed that the train stopping and starting generated 10,000 V spikes. These transients had no mercy on early multimeter input circuits. The lessons learned through this investigation led to significant improvements in multimeter input protection circuits. 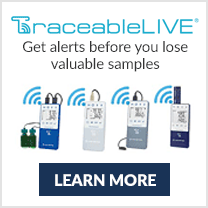 To protect you against transients, safety must be built into the test equipment. What performance specification should you look for, especially if you know that you could be working on high-energy circuits? The task of defining safety standards for test equipment is addressed by the International Electrotechnical Commission (IEC). This organization develops international safety standards for electrical test equipment. 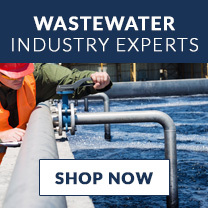 Meters have been used for years by technicians and electricians, yet the fact is that meters designed to the IEC 1010 standard offer a significantly higher level of safety. Let's see how this is accomplished. 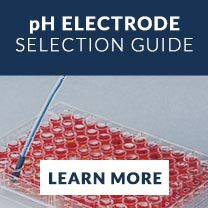 The most important single concept to understand about the standard is the Overvoltage Installation Category. The standard defines Categories I through IV, often abbreviated as CAT I, CAT II, etc. (See Figure 1.) The division of a power distribution system into categories is based on the fact that a dangerous high-energy transient such as a lightning strike will be attenuated or dampened as it travels through the impedance (ac resistance) of the system. A higher CAT number refers to an electrical environment with higher power available and higher energy transients. Thus, a multimeter designed to a CAT III standard is resistant to much higher energy transients than one designed to CAT II standards. In Figure 1, a technician working on office equipment in a CAT I location could actually encounter dc voltages much higher than the power line ac voltages measured by the motor electrician in the CAT III location. Yet transients in CAT I electronic circuitry, whatever the voltage, are clearly a lesser threat, because the energy available to an arc is quite limited. 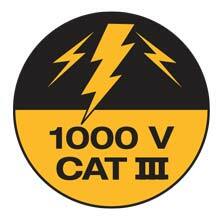 This does not mean there is no electrical hazard present in CAT I or CAT II equipment. The primary hazard is electric shock, not transients and arc blast. Shocks, which will be discussed later, can be every bit as lethal as arc blast. 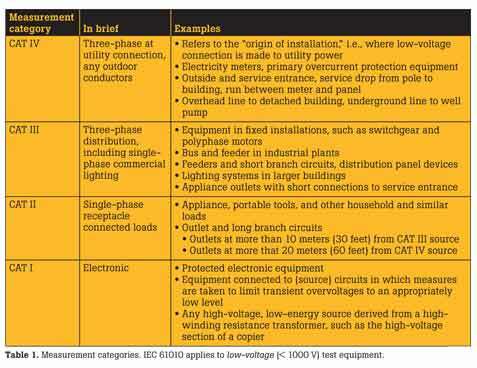 To cite another example, an overhead line run from a house to a detached workshed might be only 120 V or 240 V, but it's still technically CAT IV. Why? Any outdoor conductor is subject to very high energy lightning-related transients. 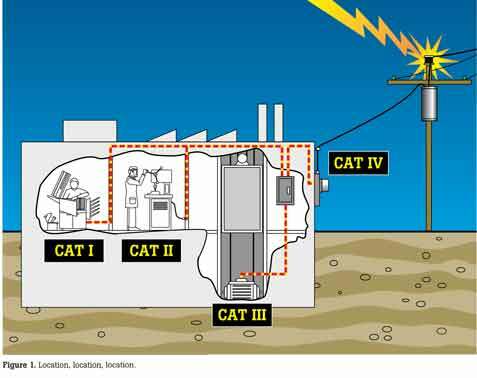 Even conductors buried underground are CAT IV, because although they will not be directly struck by lightning, a lightning strike nearby can induce a transient because of the presence of high electromagnetic fields. Let's take a look at a worst-case scenario in which a technician is performing measurements on a live three-phase motor control circuit, using a meter without the necessary safety precautions. 1. A lightning strike causes a transient on the power line, which in turn strikes an arc between the input terminals inside the meter. The circuits and components to prevent this event have just failed or were missing. Perhaps it was not a CAT III rated meter. The result is a direct short between the two measurement terminals through the meter and the test leads. 2. A high-fault current—possibly several thousands of amps— flows in the short circuit just created. This happens in thousandths of a second. When the arc forms inside the meter, a very high pressure shock wave can cause a loud bang—very much like a gunshot or the backfire from a car. At the same instant, the tech sees bright blue arc flashes at the test lead tips— the fault currents superheat the probe tips, which start to burn away, drawing an arc from the contact point to the probe. 3. The natural reaction is to pull back, in order to break contact with the hot circuit. But as the tech's hands are pulled back, an arc is drawn from the motor terminal to each probe. If these two arcs join to form a single arc, there is now another direct phase-to-phase short, this time directly between the motor terminals. 4. This arc can have a temperature approaching 6000°C (10000°F), which is higher than the temperature of an oxyacetylene cutting torch! 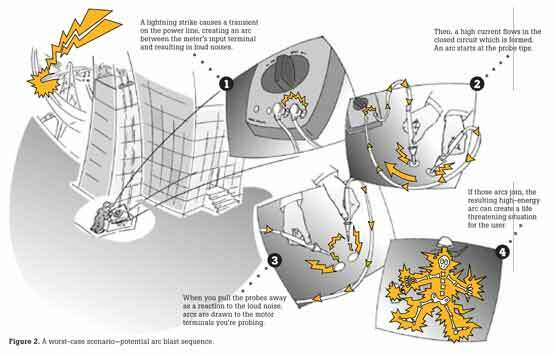 As the arc grows, fed by available short circuit current, it superheats the surrounding air. Both a shock blast and a plasma fireball are created. If the technician is lucky, the shock blast blows him away and removes him from the proximity of the arc; though injured, his life is saved. In the worst case, the victim is subjected to fatal burn injuries from the fierce heat of the arc or plasma blast. In addition to using a multimeter rated for the appropriate measurement category, anyone working on live power circuits should be protected with flame resistant clothing, should wear safety glasses or, better yet, a safety face shield, and should use insulated gloves. Transients aren't the only source of possible short circuits and arc blast hazard. 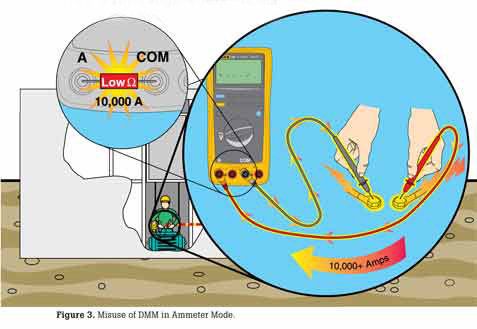 One of the most common misuses of handheld multimeters can cause a similar chain of events. Let's say a user is making current measurements on signal circuits. The procedure is to select the amps function, insert the leads in the mA or amps input terminals, open the circuit and take a series measurement. In a series circuit, current is always the same. The input impedance of the amps circuit must be low enough so that it doesn't affect the series circuit's current. For instance, the input impedance on the 10 A terminal of a Fluke meter is .01 Ω. Compare this with the input impedance on the voltage terminals of 10 M Ω; (10,000,000 Ω). If the test leads are left in the amps terminals and then accidentally connected across a voltage source, the low input impedance becomes a short circuit! It doesn't matter if the selector dial is turned to volts; the leads are still physically connected to a lowimpedance circuit. * That's why the amps terminals must be protected by fuses. Those fuses are the only thing standing between an inconvenience—blown fuses—and a potential disaster. Fuses protect against overcurrent. The high input impedance of the volts/ohms terminals ensures that an overcurrent condition is unlikely, so fuses aren't necessary. Overvoltage protection, on the other hand, is required. 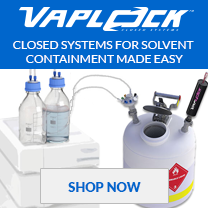 It is provided by a protection circuit that clamps high voltages to an acceptable level. In addition, a thermal protection circuit detects an overvoltage condition, protects the meter until the condition is removed, and then automatically returns to normal operation. The most common benefit is to protect the multimeter from overloads when it is in ohms mode. In this way, overload protection with automatic recovery is provided for all measurement functions as long as the leads are in the voltage input terminals. The general rule-of-thumb is that the closer you are to the power source, the higher the category number, and the greater the potential danger from transients. It also follows that the greater the short-circuit current available at a particular point, the higher the CAT number. Another way of saying the same thing is the greater the source impedance, the lower the CAT number. 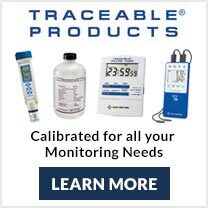 Source impedance is simply the total impedance, including the impedance of the wiring, between the point where you are measuring and the power source. This impedance is what dampens transients. 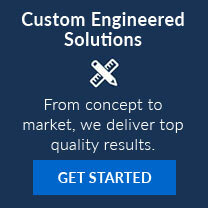 Finally, if you have any experience with the application of transient voltage surge suppression (TVSS) devices, you understand that a TVSS device installed at a panel must have higher energy handling capacity than one installed right at the computer. In CAT terminology, the panelboard TVSS is a CAT III application, and the computer is a receptacle connected load and therefore, a CAT II installation. There's one scenario that sometimes confuses people trying to apply categories to real world applications. 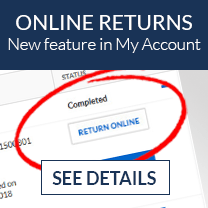 In a single piece of equipment, there is often more than one category. For example, in office equipment, from the 120 V/240 V side of the power supply back to the receptacle is CAT II. The electronic circuitry, on the other hand, is CAT I. In building control systems, such as lighting control panels, or industrial control equipment such as programmable controllers, it is common to find electronic circuits (CAT I) and power circuits (CAT III) existing in close proximity. What do you do in these situations? As in all real-world situations, use common sense. In this case, that means using the meter with the higher category rating. In fact, it's not realistic to expect people to go through the category defining process all the time. What is realistic, and highly recommended, is to select a multimeter rated to the highest category in which it could possibly be used. In other words, err on the side of safety. IEC 61010 test procedures take into account three main criteria: steady-state voltage, peak impulse transient voltage and source impedance. 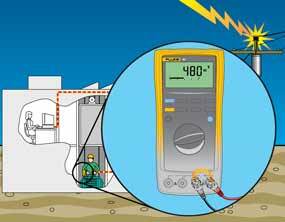 These three criteria together will tell you a multimeter's true voltage withstand value. 1. Within a category, a higher "working voltage" (steadystate voltage) is associated with a higher transient, as would be expected. For example, a CAT III-600 V meter is tested with 6000 V transients while a CAT III- 1000 V meter is tested with 8000 V transients. So far, so good. 2. What is not as obvious is the difference between the 6000 V transient for CAT III-600 V and the 6000 V transient for CAT II-1000 V. They are not the same. This is where the source impedance comes in. Ohm's Law (amps = volts/ohms) tells us that the 2 Ω test source for CAT III has six times the current of the 12 Ω test source for CAT II. The CAT III-600 V meter clearly offers superior transient protection compared to the CAT II-1000 V meter, even though its so-called "voltage rating" could be perceived as being lower. It is the combination of the steady-state voltage (called the working voltage), and the category that determines the total voltage withstand rating of the test instrument, including the all-important transient voltage withstand rating. 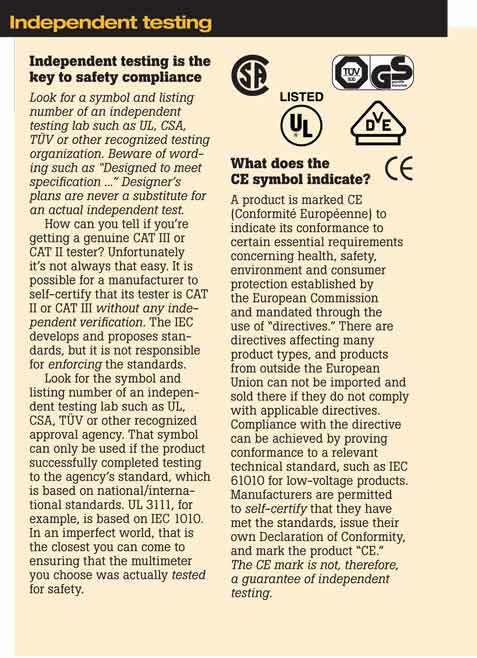 A note on CAT IV: Test values and design standards for CAT IV voltage testing are addressed in IEC 61010 second edition. 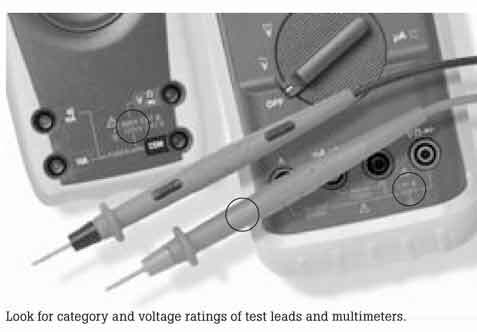 In addition to being tested to an actual overvoltage transient value, multimeters are required by IEC 61010 to have minimum "creepage" and "clearance" distances between internal components and circuit nodes. Creepage measures distance across a surface. Clearance measures distances through the air. The higher the category and working voltage level, the greater the internal spacing requirements. One of the main differences between the old IEC 348 and IEC 61010 is the increased spacing requirements in the latter. If you are faced with the task of replacing your multimeter, do one simple task before you start shopping: Analyze the worstcase scenario of your job and determine what category your use or application fits into. First choose a meter rated for the highest category you could be working in. Then, look for a multimeter with a voltage rating for that category matching your needs. While you're at it, don't forget the test leads. IEC 61010 applies to test leads too: They should be certified to a category and voltage as high or higher than the meter. When it comes to your personal protection, don't let test leads be the weak link.